Jammu earlier known as Jambupur after the name of its founder, the King Jambu Lochan is famous for its innumerous temples built in typical Kashmiri style that dot the Jammu sky line. 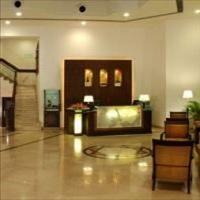 But Jammu has more in store for the traveler. A bag of surprises at every turn with romantic green meadows, mystic mountains, beautiful lakes and bewitching valleys, that&apos;s what Jammu actually is. <br />Nestled at the foothills of the Pir Panjal mountain range of the majestic Himalayas, with temple tops glittering and dotting the skyline with the picturesque River Tawi flowing by, Jammu is an ancient land known since the days of Silk route travel. 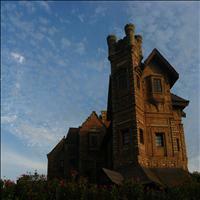 <br />Legend says that once the brother of King Bahu, Jambu Lochan came across a very weird site. He saw a tiger and a goat drinking water from the River Tawi at the same time. The king was so mesmerized by this peculiar site that he decided to build a city on this soil where no living creature bore enmity towards the other. <br />Jammu region is home to several ethnic communities which follow traditional life-styles with distinctive cultures of their own. The Dogras and the Gujjars constitute the dominant group. The most interesting however are the Bakkarwals or the shepherd community. Their mainstay the sheep and the goats are their lives. These people are nomads and go looking for the best of pastures for their livestock. They roam al over the Kashmir valleys throughout the year and this lifestyle is followed for centuries since their ancestors. <br />Jammu was always a prosperous city and was ruled by many. The Afghans and the Mughals also ruled over Jammu ad eventually was handed over to the Sikh chieftain Maharaja Gulab Singh. The huge state was merged in the Indian sub continent post independence. 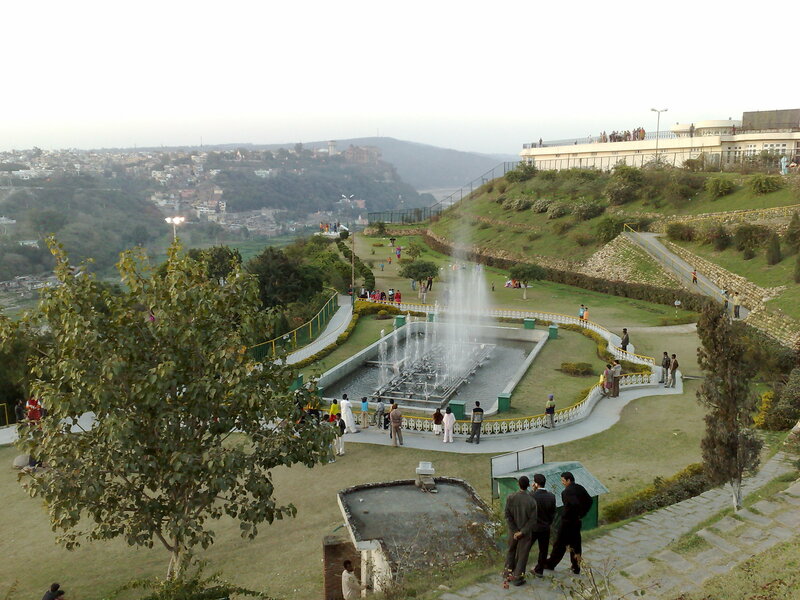 The southern most important town of the state of Jammu and Kashmir and also the winter capital of the state, Jammu, is the second largest city of this state. 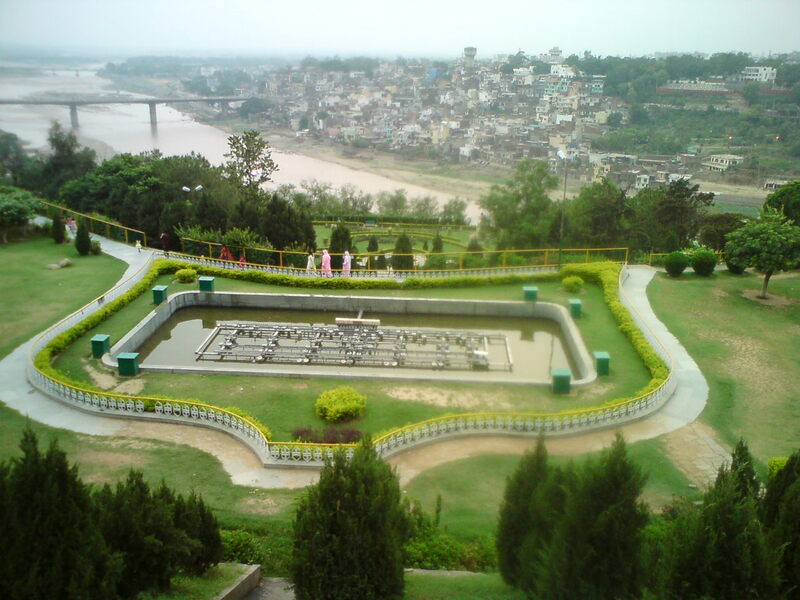 Divided into two separate cities, the old town of Jammu is located on a hilltop overlooking the river Tawi while the new town is situated across the river, several kilometers away. Being near to the Himalayas, the city experiences cold winters but hot summers. Jammu is rightly known as the city of temples. It has been the ancient city of Faith and its backdrop presents as if the city is nestled at the feet of the Almighty. The Hindu goddess Bahu Mata temple has the presiding deity, the Goddess Kali, of Jammu. It is also known as the Bawey Wali Mata and is present inside the Bahu fort where devotees throng to worship the Goddess. The deity is considered to be second only to Mata Vaisno Devi in the region. 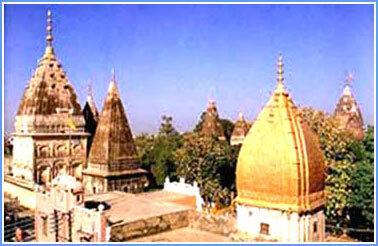 \r\nIn the heart of the city is the Raghunath temple complex dedicated to the epic hero of Ramayana, Lord Ram. It consists of a cluster of temples and is the largest temple complex in northern India. 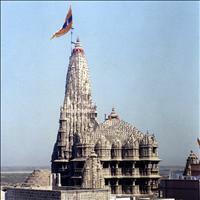 Its inner sanctums contain gigantic statues of deities and numerous Shiva Lingams. The beautiful temple complex, constructed in a typical architectural style of Kashmir, was built in the late 19th century by Maharaja Gulab Singh and was completed by his son who ascended the throne later. 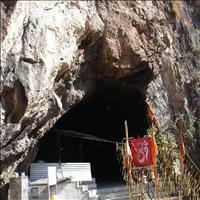 \r\nThe Peer Khoh cave shrine is famous for its naturally formed Shiva Lingam. Situated a bit away from the heart of the city, the formation of the Lingam in this cave shrine is a mystery. Legend has it that the cave leads underground to many other cave shrines and even out of the country which although has been an unsolved mystery. 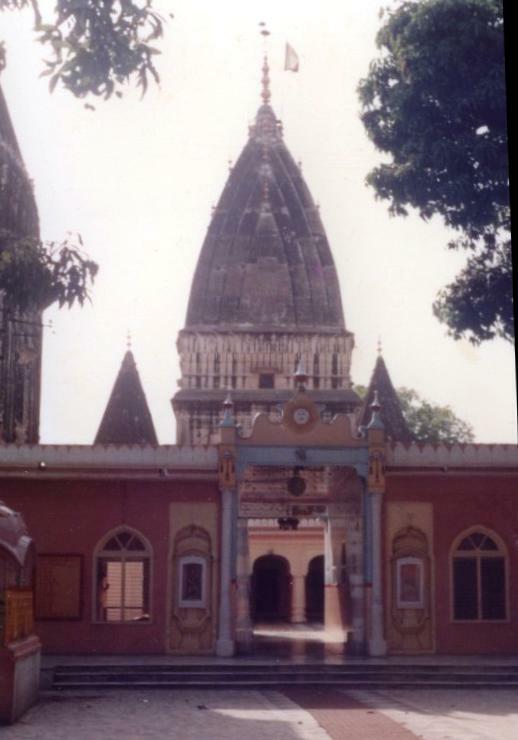 \r\nThe Ranbireshwar temple is named after its builder, Maharaja Ranbir Singh and is dedicated to Lord Shiva. This temple built in the late 19th century is famous for the seven and half feet Shiva Lingam and twelve others made of crystal. \r\nOther important temples in Jammu are the Lakshmi Narayan temple, Duda Dhari temple and the Panj Mandir.\r\nWhile the presiding deity f Jammu is Bahu Mata, the guardian of Jammu is Peer Baba. The people of Jammu believe that the Durgah of Saint Budhan Ali Shah, commonly known as Peer Baba protects the city from all evils and Mishaps. Legend goes that Peer Baba lived for five hundred years and that too only by drinking milk. He was supposed to be a good friend of the Sikh Preacher Guru Gobind Singh. People of all the faiths flock on Thursdays to pay respect to the holy one. 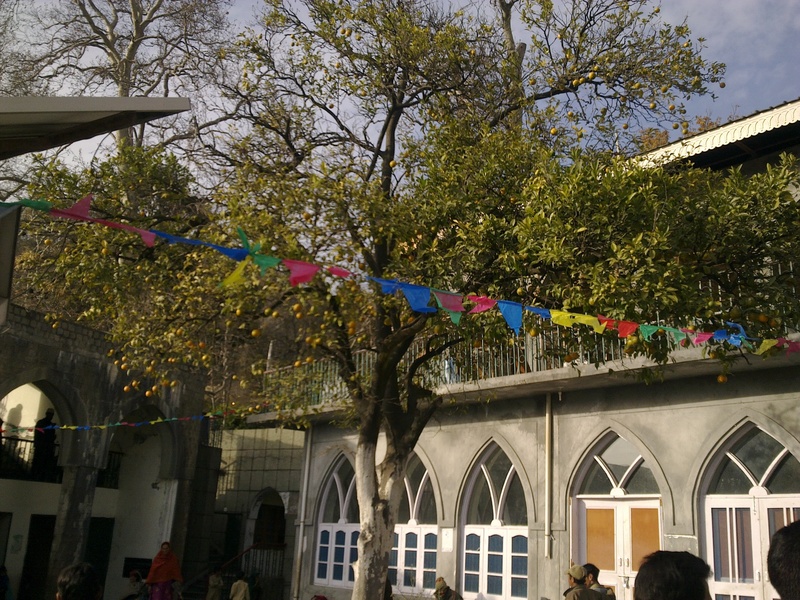 \r\nPeer Meetha is another Muslim shrine of Jammu, the saint was nick named so as he would take nothing but a pinch of sugar as offering from his devotees. 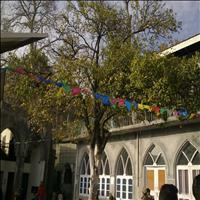 There are many other Jama Masjids, Gurudwaras and churches in Jammu. 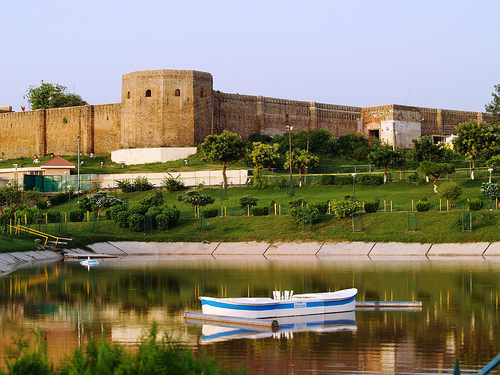 The Amar Palace is the beautiful fort which resembles any continental castle. The magnificent building on the banks of the Tawi River is seen from far off places. 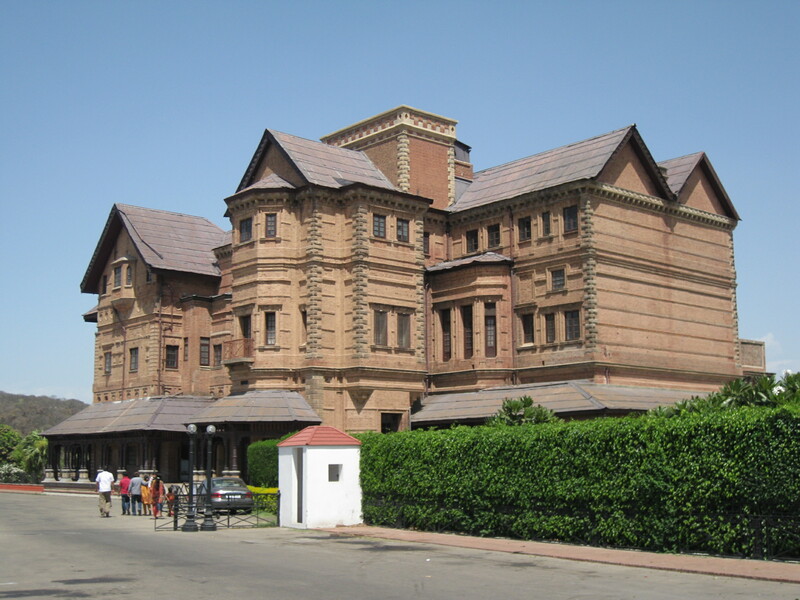 This grand palace once the residential palace of Raja Amar Singh has all the characteristics of Western castles, which now houses the beautiful museum with equally beautiful objects on display. This beautiful palace of red sandstone stands amidst the most picturesque environs of Jammu. The palace has a beautiful view of the Shivalik mountain range in the north and River Tawi in the south which adds to the grandeur and beauty of the palace. \r\nAn entire series of miniature paintings on the epic Nal-Damayanti is on display in the museum here. The major attraction is a golden throne made of 120 kg of pure gold which is on display. 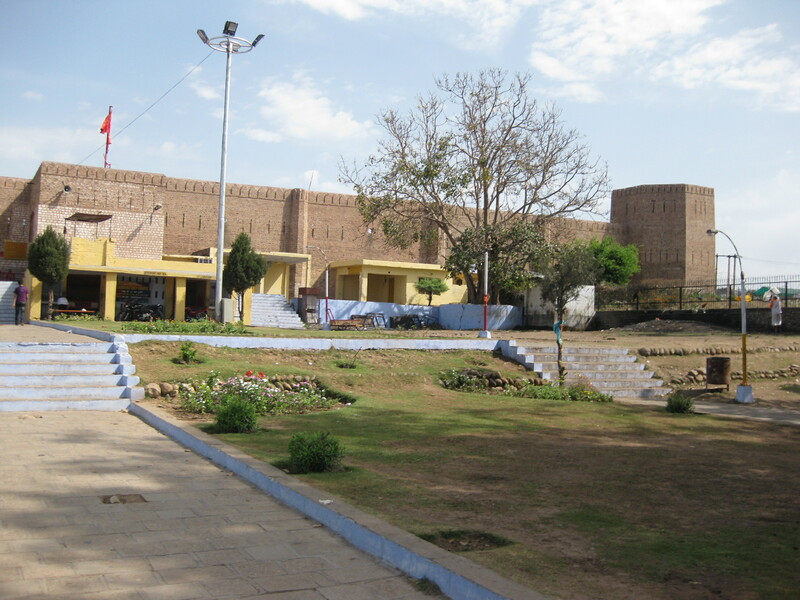 \r\nThe Dogra Museum presently located in the Pink Hall of Mubarak Mandi Complex houses about 800 rare and exquisite paintings from different hill schools of the Basholi, Jammu and Kangra. Gold painted bow and arrow of Mughal Emperor Shahajehan and a number of carpentry tools also make an important section of the museum. The museum also has hand written manuscripts of Shahnama and Sikandernama both in Persian. The most stunning however is the Sheesh Mahal. 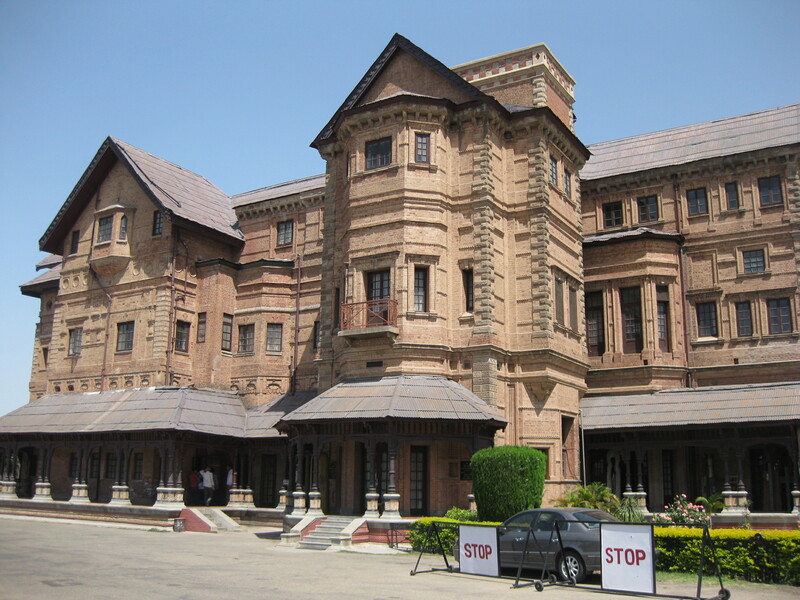 The palace was once the royal residence of the Dogra kings. Built as a group of buildings around a courtyard, the palace has a commanding view of river Tawi on one side and the city on the other. On the Trikuta hills, 13 kms near Katra Town which is around 50 kms from Jammu, is the famous cave temple of Mata Vaishno Devi. Here the Mother Goddess is assumes three forms of energy, the creator, the protector and the destroyer. The clear water of the Ganges trickles regularly on the feet of the goddess. Every year around four million devotees visit the shrine and offer their prayers. It is said all the wishes of the devotee are fulfilled and rarely any one goes disappointed. 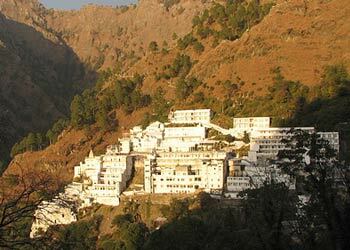 \r\nLegend goes that Mata Vaishno Devi came here to take shelter and persuade her penance. She was being troubled by one of the demons, Bhairon Nath who had taken fancy on her beauty and wanted to acquire her. But the Mata was devoted to Lord Vishnu who had promised her in one of his lives as Lord Ram, that he would marry her one day, if she would continue her penance. But when Bhairon Nath kept on following her on every trail she was very angry and assuming the form of the destroyer Mata Kali, killed him and settled permanently in these mountains. It is said that the pilgrimage to the temple is not complete until one visits the Bhairon Nath temple another 2 kms away frm the shrine where Bhairon Nath's head is believed to have fallen. \r\nOther than the devotional aspect of the place, the surroundings are immensely beautiful with lush green mountains and deep valleys where you can see gushing waterfalls. The Shah-dara- Sharief is a great example of communal harmony and mutual respect in this area with communal tensions. The legend goes that Gulab Singh who was on his way to this place on a mission visited the saint who lived at this place. The name of the saint was Baba Gulam Shah Badshah. When Gulab Singh went to pay his respects to the saint the great man prophesied his future saying he would one day be the lord of the land as far as his eyes could reach. Gulab Singh saw the regions of Jammu, Kashmir, Ladakh and Tibet from there. Later when he actually ascended the throne to pay his respect he built this shrine on the very place he had met the great saint.\r\nToday this place has become a major pilgrimage site for the Muslims and the Hindus alike. Thousands of devotees reach here cherishing their reams which are mostly fulfilled.\r\nBuilt in the 19th century this shrine is in the Rajouri district around 200 kms from Jammu. 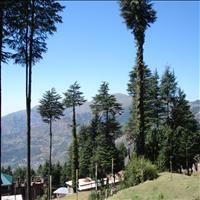 There are many places near Jammu which can be trailed down on short excursions. 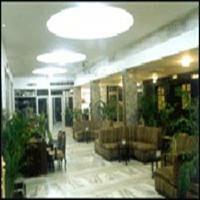 The Patnitop hill resort is the primary excursion point from Jammu. Perched on a beautiful plain land at an altitude of 2024 meters and about 112 kms from Jammu is placed this beautiful hill resort. Patnitop is full of thick a forest which gets blanketed by thick snow in winters. 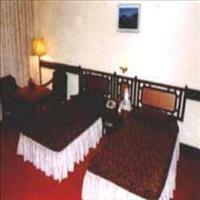 The hill resort also offers breathtaking views of the Chenab Basin valley. In winter Patnitop becomes a popular winter sport centre.\r\nNearby Patnitop is Sanasar a cup shaped meadow with gigantic conifers. 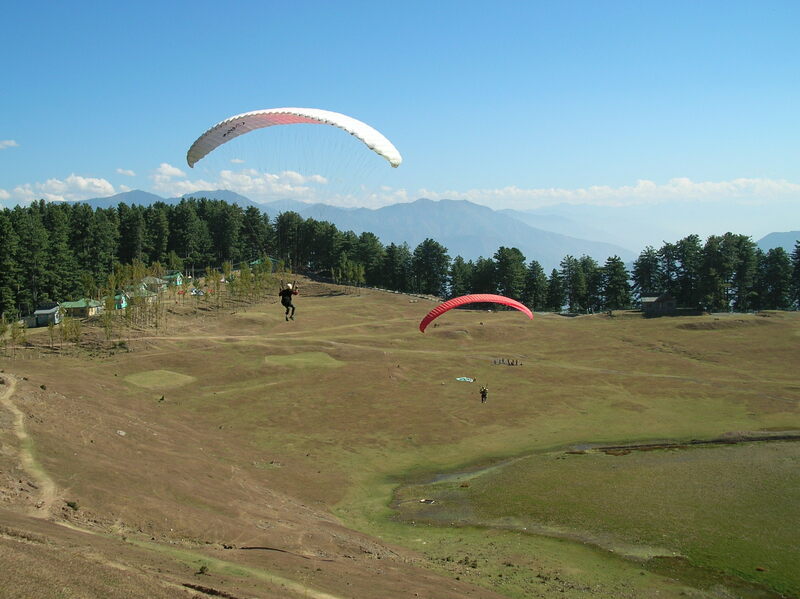 Equally popular is the Kud resort located 103 kms from Jammu, on the Jammu-Srinagar highway at an altitude of 1738 meters. \r\nNear Patnitop, about 120 kms from Jammu is the holy shrine of Shudh Mahadev. Dedicated to Lord Shiva, his spot has a story behind it. When Parvati, the daughter of the Himalayas was meditating for achieving Lord Shiva's grace, she would regularly bathe the idol with pious water from the Ganges. There fore the name of Shudh, meaning pure or pious has been attached to this shrine. The idol is considered to be the same which Parvati used to bathe. \r\nNear the shrine is a pond where Parvati herself would bathe regularly before commencing her daily prayers. That pond is called as Gauri Kund. 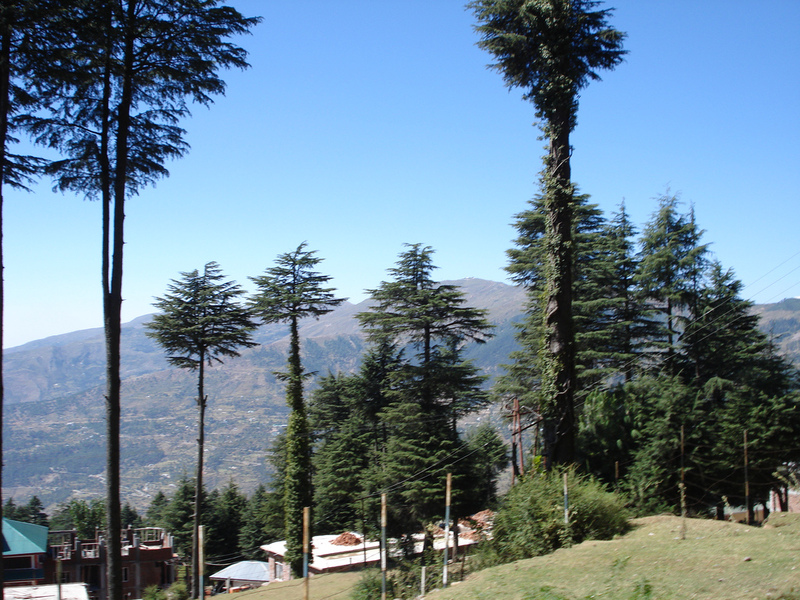 \r\nSituated a few kilometers further away is the Mantalai is surrounded by lush deodar forests at an altitude of 2000 m. The place is associated with the legend of the marriage of Lord Shiva with the Goddess Parvati. \r\n62 kms from Jammu, Mansar is a beautiful lake fringed by forest-covered hills. This is the place associated as the abode of Sheshnaag, the serpent god. Apart from the natural beauty devotees throng this place to seek blessings of the serpent god. 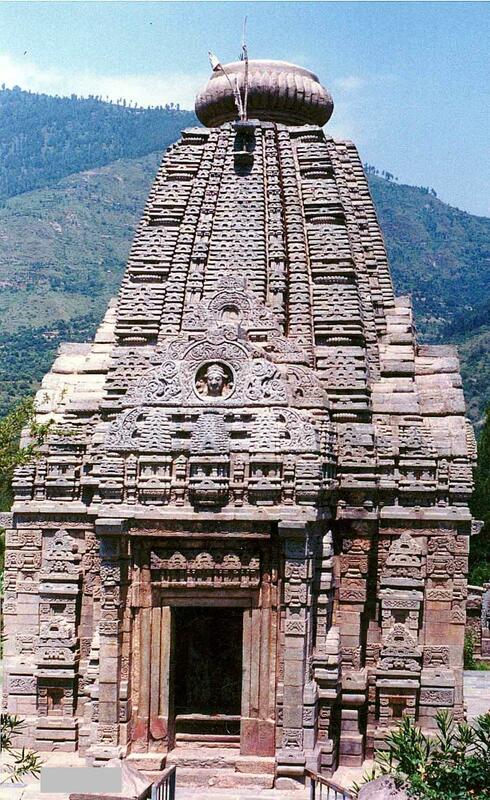 Krimchi, the site of three of the oldest temples of Jammu, are the nearest to Jammu, hardly 20 kms away. 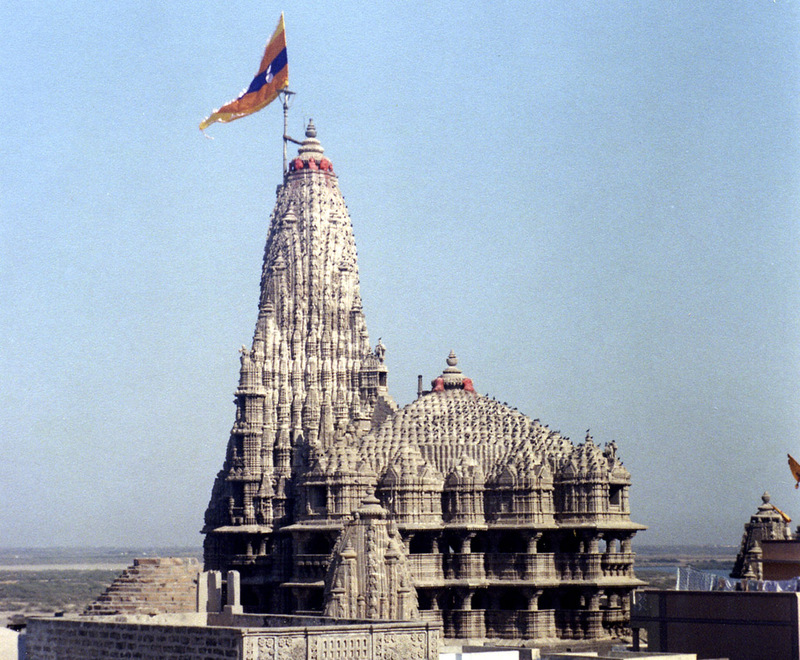 The architecture of the temples shows distinct Greek (Hellenic) influences. \r\nThe town of Akhnoor is associated with the legendary story of Sohni Mahiwal and is situated on the bank of Chenab River. Ruins of the Indus valley civilization can be seen in the town of Akhnoor.